Vaccines are arguably one of the most important technological developments to date, not just in the realm of medical science, but for the integrity of the human race. With vaccines we have seen modern society triumph over such diseases as smallpox, polio, yellow fever, and many others, virtually eradicating them in the process. Yet an interesting and disturbing trend has emerged in recent years; a growing number of parents are choosing to opt out of vaccinations for their children, citing a variety of reasons from health concerns to religious beliefs. But do the claims of these “anti-vaxxers” actually have any merit? In this article, I will seek to debunk many of the myths surrounding vaccines, starting with a scientific explanation of how they work and a brief overview of their history, followed by an analysis of the movement advocating their boycott. In the end, I will attempt to prove a point that medical professionals around the world are already claiming: the anti-vaccine movement is nothing short of a public health threat. Vaccines are a technology developed specifically to enhance human immunity to disease, so that they will not contract said diseases themselves. Vaccines take various forms, but generally consist of weakened or killed form of the disease itself, injected intramuscularly. The immune system detects these “invaders,” and produces antibodies against them. Though the body is not actually sick, since the disease agents used are not actually capable of infection the host, the immune system retains the ability to recognize the pathogens and produce antibodies against them again later, incase of another exposure – this is how vaccines prevent you from getting sick. They support what’s known as specific immunity, that is, the body’s ability to fight against specific pathogens that manage to bypass the mechanisms of the body’s innate immunity (the skin barrier and certain types of white blood cells). This mechanism is why, once you contract a disease and recover from it, you don’t often contract the same disease again. Varicella, colloquially known as the chicken pox, is a perfect example of this. 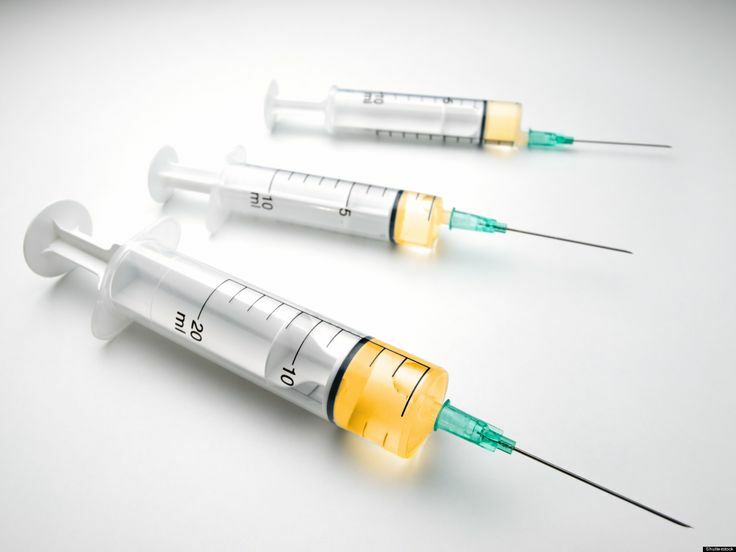 But immunity only lasts so long, and so some vaccines require boosters every so often, such as the TDAP vaccine that protects against tetanus, diphtheria, and pertussis. Thus, vaccines can be seen as a technology used to take advantage of our own body’s natural defenses. The first known vaccine is attributed to Edward Jenner in the late 1790s, after hearing of a milkmaid boast that she had never had smallpox and never would, because she had already had the cowpox. Vaccinia viruses cause both, but the cowpox is much milder – the milkmaid’s body was able to fight off the infection and protect her against smallpox. This led to the use of the cowpox disease by Jenner to inoculate against the smallpox virus. Though very crude, this marked a huge improvement from the earlier use of the actual smallpox disease itself for inoculation (known then as variolation) – cowpox was not fatal, and smallpox infections decreased dramatically. And as scientific knowledge and technology improved over the years, so too did vaccines. An immunization was developed for diphtheria as early as 1914, before it was improved and combined with tetanus and pertussis to from the TDAP vaccine in 1948. A measles vaccine was licensed in 1963, which would later be improved upon in 1968 and 1971. Vaccines for polio (1960), yellow fever (1936), and many others would prove successful. Today, vaccines have evolved and become powerful tools in the healthcare arsenal. Vaccines exist today for chickenpox, diphtheria, influenza, hepatitis A and B, HPV and its related cancers, measles, meningitis, mumps, polio, pneumonia, rotavirus, rubella, tetanus, and pertussis, just to name a few, and they take many forms. Intramuscular (IM) injection, subcutaneous injection, and oral administration (especially with rotavirus, typhoid, and polio vaccines) are some of the most common methods of delivery, with intradermal (ID) routes, meaning just below the skin, and intranasal routes also being used. The CDC reports that these vaccines are safe and effective, so where does this anti-vaccination movement come from? In the next section of this article, I would like to focus on several claims made by the anti-vaccination crowd, and attempt to either debunk them or at the very least give some much needed context to the claims they make. This is one I hear literally all the time, usually based on anecdotal “evidence” revolving around the flu shot. This claim is problematic for a couple reasons. For one, getting the influenza vaccine isn’t a 100% guarantee that you won’t get the flu later. It works like this: doctors and scientists use scientific evidence and health trends to evaluate which strains of the flu (because there are a lot of them) are most likely to cause the most problems in any given year, and then subsequently develop a vaccine that protects against those particular strains. So why, then, can you still get the flu if you’ve been vaccinated for it? The simplest and most likely answer is simply that you contracted a strain of the flu that was not included in the vaccine, or that the virus has mutated into a new form not included in the vaccine you received. This was a particular problem in the 2013-2014 influenza season; the CDC announced that the influenza vaccine had mutated, and that the flu shot that year may not be completely effective. So why bother getting vaccinated at all? Well, as CNN reports, over 12,000 people were hospitalized with influenza in 2013. The death toll included 149 children, 90% of which were unvaccinated. But the biggest reason it is a problem to say that vaccines in general are ineffective is that it is just not true. Government monitoring of disease cases shows that vaccines have reduced cases of several different diseases over the course of this century: Haemophilus influenzae type B (HIB) cases were reduced by 98.62%, for example, which also almost completely eliminated deadly meningitis cases associated with the virus. Vaccination also was effective against measles, cases of which fell 99.95% between 1961 and 1997, and against mumps, which experienced a 99.57% drop in cases between 1968 and 1997. Vaccination also reduced cases of pertussis by 97.56%, polio by 100%, and rubella by 99.64%. This is another one I hear supported by anecdotal evidence based on the influenza vaccine, usually pertaining to people who “catch the disease from the shot.” Much of the time when people experience something like this, it is a complete misinterpretation of the symptoms. Few people know that it is actually very normal to experience some mild cold-like symptoms following a vaccination, such as achy muscles, chills, or a very minor fever. These will generally go away quickly and do not mean that you are sick. So why do they happen? The answer is simply because your body is doing exactly what you need it to do: think the vaccine is a real, live version of the illness and attack it, so that when you come into contact with the disease for real, it will know how to handle it. Fever, achy muscles, and chills are all symptoms of an immune response. If you had actually contracted the disease, your symptoms would be much worse, and your recovery time would be significantly longer. This is probably one of the most dangerous claims spread by the anti-vaccination community, not in the least of which because it is based on complete falsehoods. In 1998, a doctor from the United Kingdom named Andrew Wakefield released a study in the respected medical journal The Lancet claiming that although a direct association was not established, compelling evidence had been discovered that linked the measles, mumps, and rubella (MMR) vaccine to autism. Eight of the twelve children in their study, they claimed, developed the autism mere days after its administration. This unleashed a firestorm of fear and criticism surrounding this vaccine and vaccines in general. If such a ubiquitous procedure caused such a serious condition, how could we continue to support its use? However, this study did not stand up to the rigors of science. As CNN reports, BMJ, a renowned British medical journal, conducted an investigation that revealed that Wakefield’s study was not just incorrect – it was fraudulent. Not only did all attempts to reproduce the study fail, but BMJ concluded that Wakefield outright misrepresented or changed the medical histories of the twelve children who made up his study, lying about the fact that five of his subjects had expressed signs of autism before the vaccines were administered. The journal also suggested that Wakefield had been contracted by lawyers hoping to sue vaccine producers, revealing that he had received well over $600,000 from these lawyers. Whether or not Wakefield’s study was a result of bribery or simply faulty research, he paid the price. According to The Wall Street Journal, The Lancet retracted the study in the wake of these revelations, and officials in the UK revoked his medical license. But the damage had been done – the fear of vaccines that Wakefield had generated with his widely publicized story took hold like a cancer, one that continues to persist today, despite overwhelming scientific evidence that there is no link between the MMR vaccine and autism, despite the efforts of anti-vaccination organizations to pin it on vaccine ingredients such as thimerosal, a mercury-containing preservative that used to be used in vaccines. These claims continue to crop up, despite the overwhelming evidence that thimerosal has no connection to autism, and hasn’t been used in childhood vaccines since 2001. Therefore, it must be said that not only is the claim that vaccines cause autism completely untrue, it is based upon misinformation and complete falsehoods. Claim #4: Unvaccinated people not getting sick are proof that vaccines aren’t needed. At one point, this was true. At the very least, we could say that cases were reduced to such a low amount that they were no longer an extreme threat as they once were. However, as NPR reports, this is no longer the case. Since the false and inaccurate study in 1998 that stated that the measles, mumps, and rubella (MMR) vaccine was linked to autism, cases of these diseases have skyrocketed. France, NPR explains, experienced a 2011 outbreak of measles that totaled about 15,000 cases, and in 2012 the United States experienced about 50,000 cases of rubella. These are only a few examples of many, and it’s not only caused by children not getting vaccinated, but parents as well. Unvaccinated parents can also spread diseases such as rubella to their children, even if they are asymptomatic. The MMR vaccine prevents this from happening. Claim #6: My body, my choice. My child, my choice. Okay, with this one there is no argument. You, whether it be for religious reasons, personal reasons, or whatever, have the right to decide what goes in your body and what goes into the body of your children. However, before we get up in arms about schools requiring vaccines, you have to see the matter from their point of view. They have hundreds of people for whom they need to consider the health risks. Some children cannot get vaccinated, because they have already low immune systems. These people rely on the herd immunity mentioned above, wherein they are less likely to get sick because everyone around them has been vaccinated. Universities and public school systems requiring vaccines are not forcing you to get your kids vaccinated; there are other options, such as home schooling, private schools, and online education. Choosing not to get vaccinated is a serious decision that affects the whole community, and one that should not be made lightly. Taking all of this into account then, a picture begins to form as to why the anti-vaccination movement is so dangerous. It is not simply that the movement is built upon misinformation, but also that the movement is dangerous, as the resurgence data has shown. Vaccines, as the webcomic xkcd so playfully points out, have effectively slain one of the four horseman of the apocalypse, and are a crucial tool in triumphing over preventable deaths due to disease, but the fear and hysteria that have been created around this technology have done incredible amounts of harm. So what does this mean for us as patients and parents? Obviously the decision is still ours to make, and vaccines are not right for everybody. But if you are considering not getting your children vaccinated or do not want to get vaccinated yourself, you need to seriously consider and understand the risks involved. The best thing we can do is get vaccinated, keep those vaccines up to date, and combat misinformation wherever we find it. For more information, talk with your health provider or consult the CDC website, which has an excellent primer on the benefits of vaccination.